On this episode of High Noon with Stoner Jesus: SJ was in studio for [HOUR 1] an update on our Patreon rewards, #AskStonerJesus on Periscope, Weed News about Nevada, Kentucky, Jeff Sessions and more plus [HOUR 2] a Stoner Jesus infomercial about a great new product just in time for the 4th of July, stories about a stolen toe, a stuffed hero, old heads, a screaming chick, a Prodigy tribute from the news and more! The Show is brought to you by Hemptations, Kind Soil, Next Bardo and KorLor420! 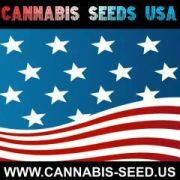 HEAR the Show LIVE Friday at Noon ET on CannabisRadio.com! SEE The Stoner Jesus Show on Facebook Live! The time I got to interview the supremely talented Michael Rosenbaum, recorded LIVE on 7-14-15! On this episode of High Noon with Stoner Jesus: SJ was in studio for [HOUR 1] news on a new podcast, a Hate Group Softball League update, Weed News about Florida, potent pot and more plus [HOUR 2] Profiles in Death on Gregg Allman, Celeb News about Trump, Cosby, Taylor Swift and more plus stories about a girlfriend leash, a beef bolt, a guy who knows how to have a good time and more! 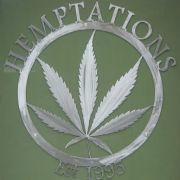 The Show is brought to you by Hemptations, Kind Soil and Next Bardo! That time I interviewed Kidd Chris just after he started at WEBN in Cincinnati. Recorded LIVE in November of 2012!